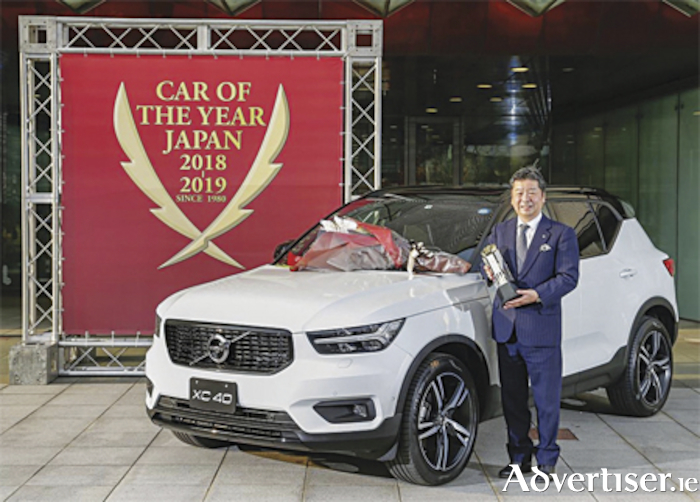 Volvo has just achieved a remarkable first ever back to back victory for an importer in Japan’s Car of the Year (COTY ) award. The XC60 won the country’s top trophy in 2017 and the XC40 has just captured the ‘Japan Car of the Year’ for 2018. At the 2018 awards ceremony inside the Tokyo International Exchange Center, all 60 jurors, 40 of Japan’s most influential automotive publications as well as car manufacturer executives gathered to witness the vote counting and prize-giving ceremony for this year’s Japan Car of the Year awards. The vote counting started off as a battle between the Volvo XC40 and the Toyota Corolla Sport. After the XC40 picked up an early lead, the Corolla came back midway through counting to briefly overtake the Swede before the Volvo accelerated away to win by 49 votes, 363 to 314 votes respectively. The VW Polo picked up third with 197 votes, the Toyota Crown came fourth with 170 and the Mitsubishi Eclipse Cross polled fifth with 165 votes. In the special awards categories, the Honda Clarity PHEV (plug-in hybrid ) won the 'Best Innovation' award, while the BMW X2 captured the 'Emotional' award and the Daihatsu Tocot took home the 'Small Mobility' gong. Toyota may have missed out on the top award but its Gazoo Racing team did receive the COTY steering committee’s ‘Special Achievement' award for its hugely popular victories at the Le Mans 24 hours and the World Rally Championships. In a second ‘Special Achievement' award,’ the Honda N-Van was also honoured. Finally, as last year, when an imported car wins Japan COTY, the Import COTY award is void. In recent weeks the XC40 also won the Irish Car of the Year 2019 award, sponsored by Continental Tyres.